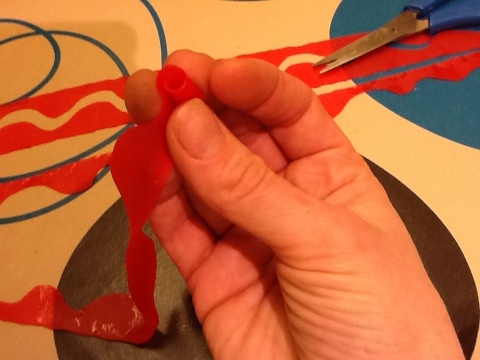 fruit roll ups | ARTZCOOL'S BLOG! 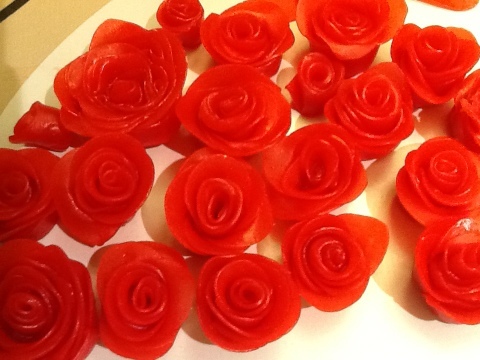 Believe it or not, the roses are made of fruit roll ups and the leaves are made from wine gums. 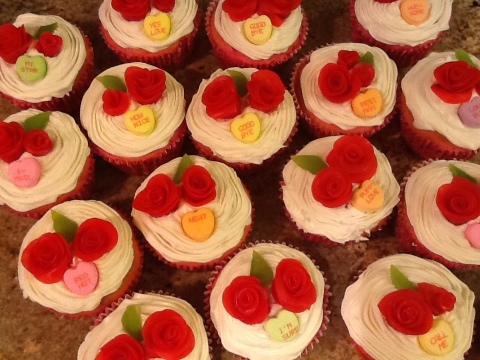 I started with two boxes of fruit roll ups, and minus what the kids and I ate, the two boxes made enough to decorate 28 cupcakes. 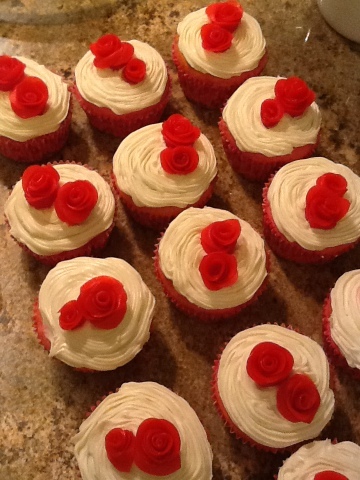 After making over 70 roses, I learned a few tricks. 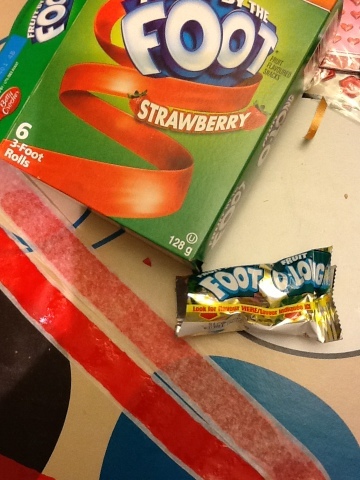 Begin by unrolling the whole fruit roll up. If you divide the roll up into thirds, that length seemed to make the best roses. 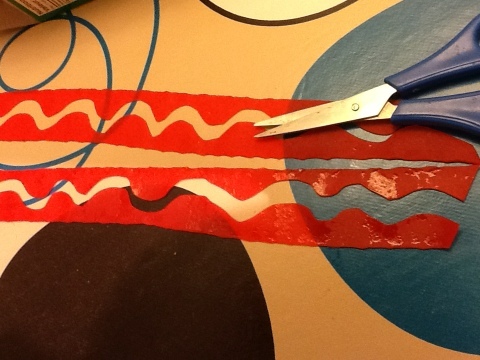 Use a pair of scissors to cut the roll down the middle in a wavy line. 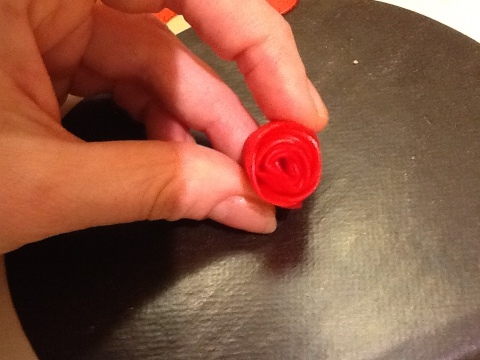 You can use the two halves to make two roses. Start with one end and roll the fruit roll up in your hands. I discovered that this step is made a lot easier if you make the roll up a little bit sticky by dipping the tip of your fingers in a little apple juice, and rubbing it along the bottom edge. The first picture below is the plain roll, and the second picture below is the same roll after I spread out the petals a little. 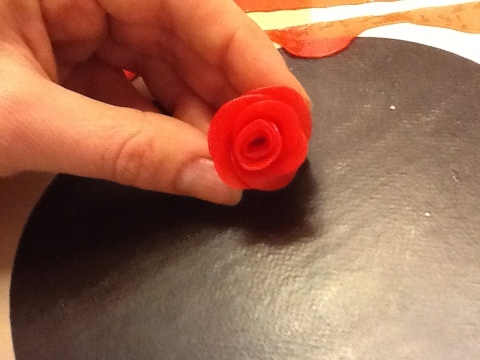 It takes a bit of practice, but if you carefully stretch the petals out, it makes a big difference in the final rose. The kids were able to help with the rolling part, but spreading the petals was a little more difficult and tended to rip the petals a little. 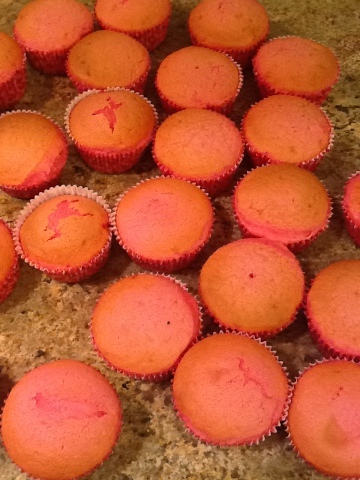 I made vanilla cupcakes, but decided to add a little red food colouring to make the cupcakes pink. 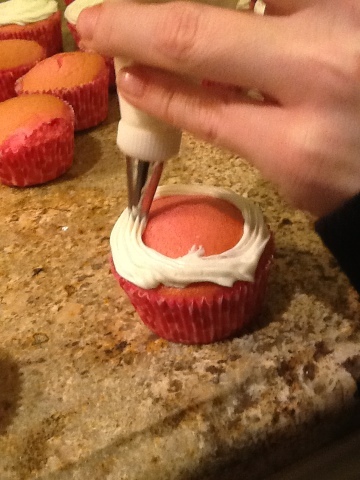 I used a piping bag, and icing tip to ice the cupcakes with a butter cream icing. 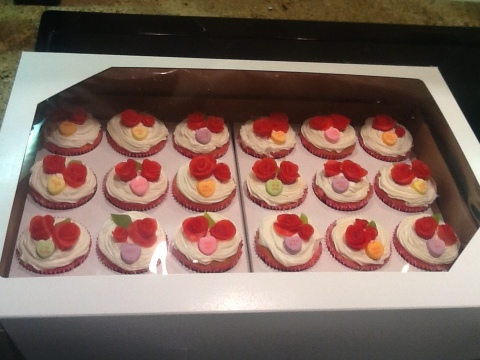 Then, I added two or three small roses to each cupcake. 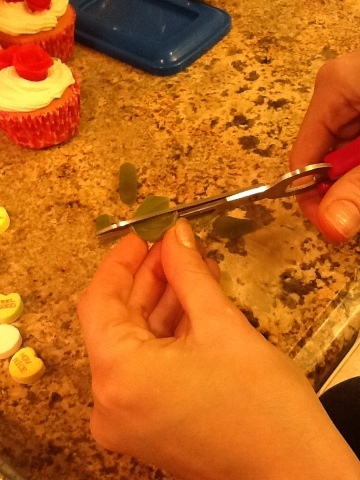 To make the leaves, I just used scissors to cut up wine gums. I chose wine gums because I liked the green colour. All of the other green candies I could find were lime or apple green. 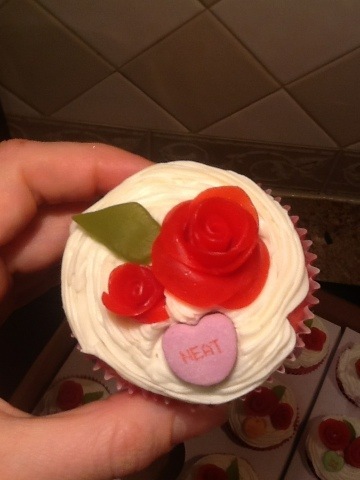 So, I stuck a leaf on each cupcake, then added a love heart. At the bulk food store, I was so excited to see that they sold cupcake boxes. Which is great, because I could see the cupcakes being in a big pile by the time they got to school! 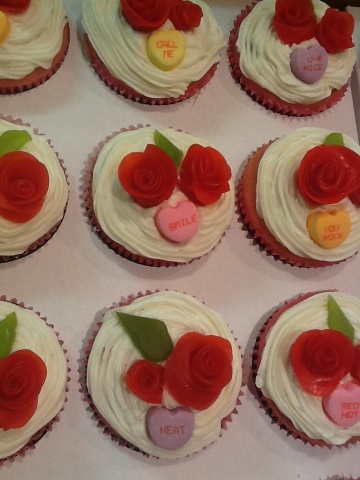 Have a delicious valentines day!